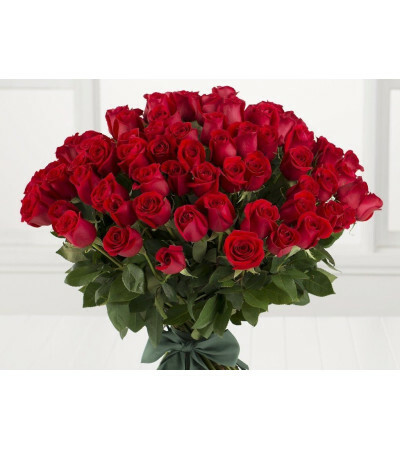 We guarantee your loved one will be suitably flattered when presented with 99 exquisite long stem red roses carefully arranged in a stunning bouquet. Whether impressing a new love, proposing to someone or simply to say "I love you", this red rose bouquet will take their breath away. * Our large, long stem roses (50cm) will continue to make an impression for a minimum of 5-7 days with proper care.